p as in Performance... 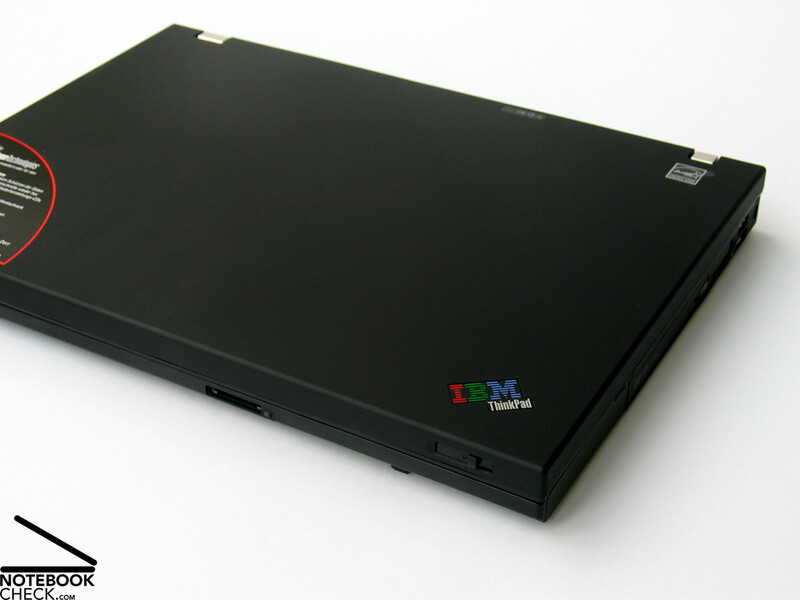 Soon after the Thinkpad T61 series also the T61p serious was launched. They are in general based on T61 models, but trimmed for performance, so, that they meet even higher performance demands (NVIDIA Quadro FX 570M). 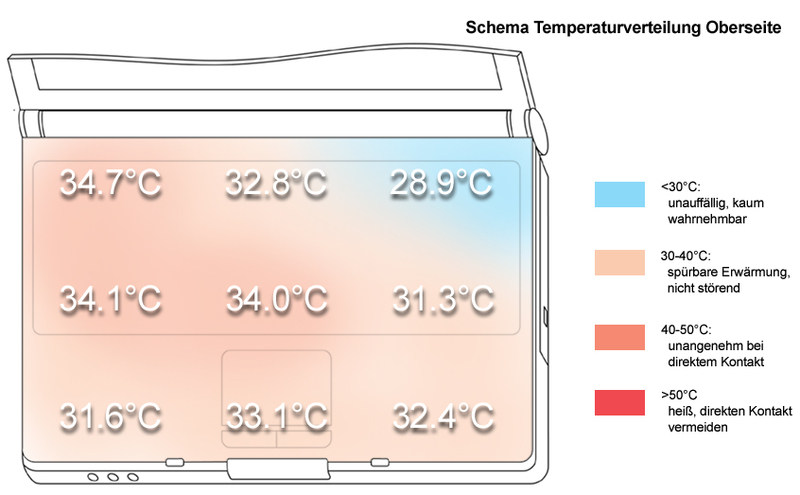 These notebooks, which are especially liked by designers and 3D design engineers, are of course also equipped with a proper display, in our case with a WUXGA panel with a resolution of 1920x1200 pixels. 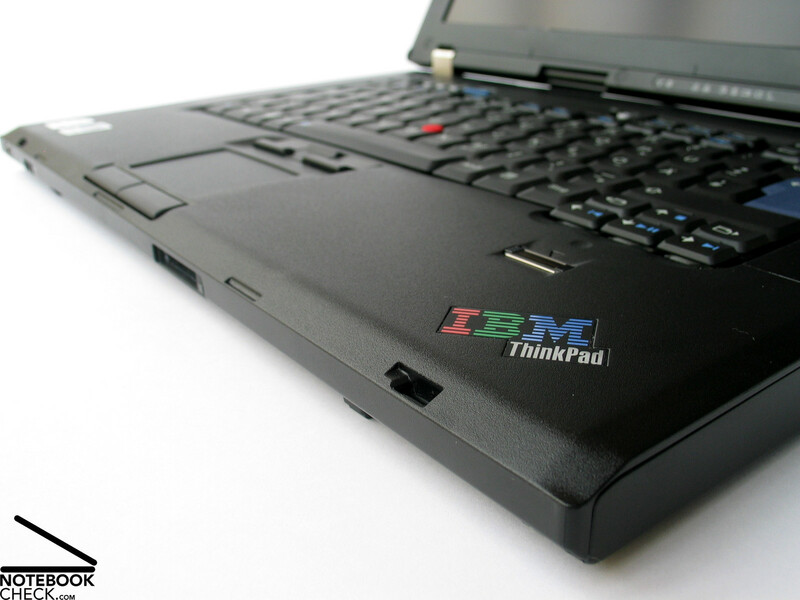 As already mentioned the T61p is based on the already reviewed T61. So, also the cases do not much differ from each other. 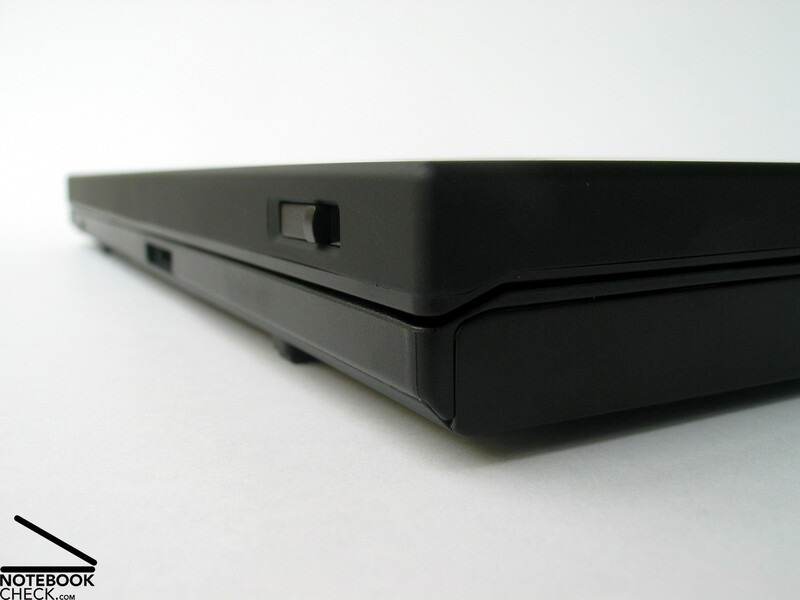 So, the criterion case is more or less the same as in the review of the Thinkpad T61. However, some changes exist, but, they are not so important for the user. 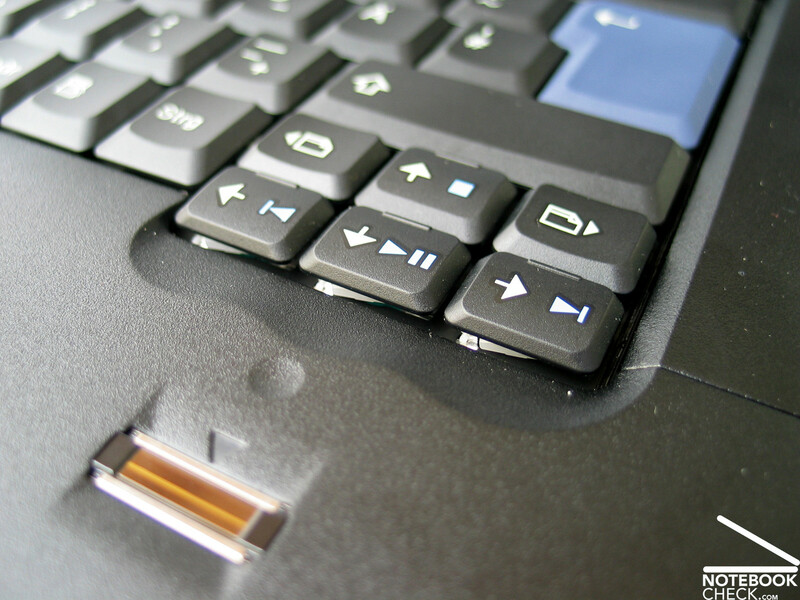 E.g., the speakers are now located at the top side of the keyboard. 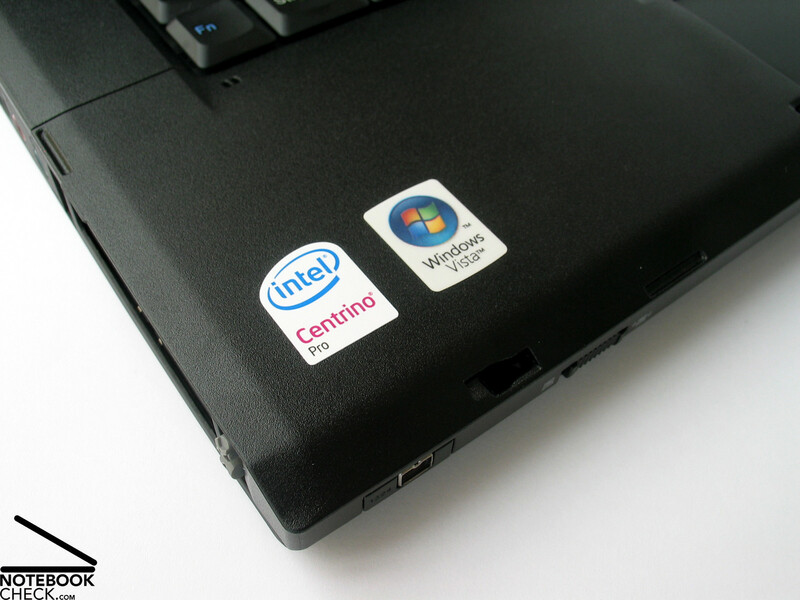 Generally this compact 15 inch notebook's robustness is excellent. 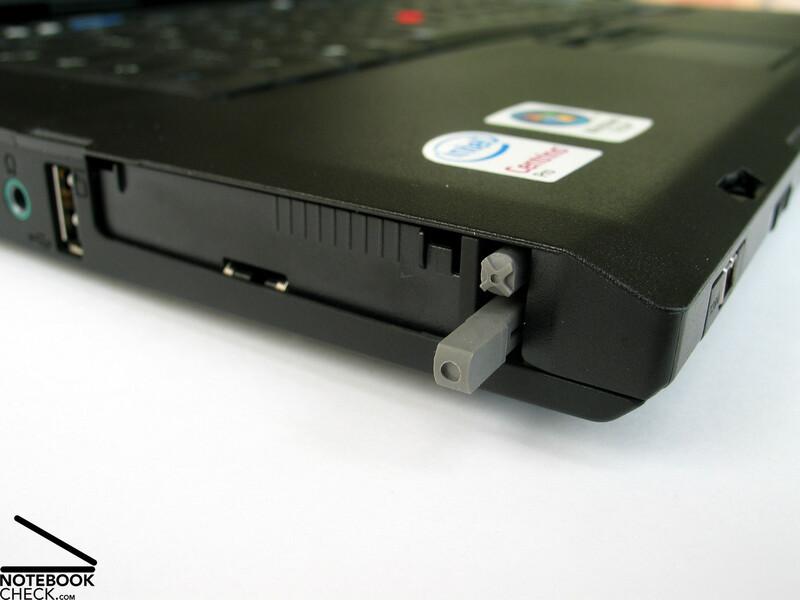 A waste of time to try to deform the Thinkpad T61 under pressure. However, if you, legitimately for a notebook of this class, scrutinize the case, you'll still find some parts with smaller weaknesses. The display stands out because of the strengthened molding at its edges, known as ClamShell design was further reduced. While it exceeded the display frame by about 1 centimeter at the top part of the R50, now only a gentle rise is apparent. So, the look was clearly improved and while it is still sufficient to guarantee a nearly seamlessly closed display. So, dust and dirt particles cannot accumulate in the inter space. Also the look of the hinges were slightly adapted. Their height got smaller, but in turn their width increased. The edgy and massive form still stayed the same. Still the metal hinges are capable to absolutely securely keep the display's position. 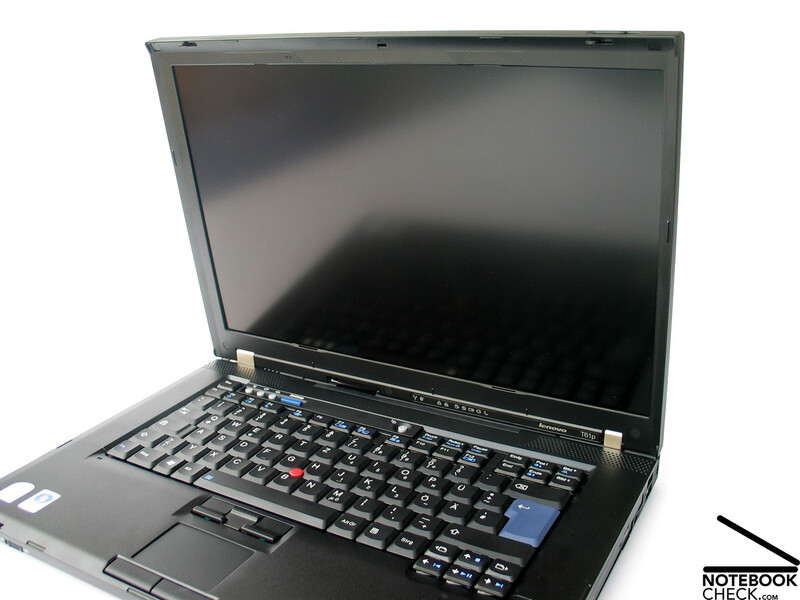 Regarding order of the interfaces the T61p differs a little bit from the 14 inch T61. The audio ports are at the left side, instead of unhandily at the front side. And also an additional card reader is provided there. Alike the case also the touch pad / track point combination is the same as the one of T61 notebooks. 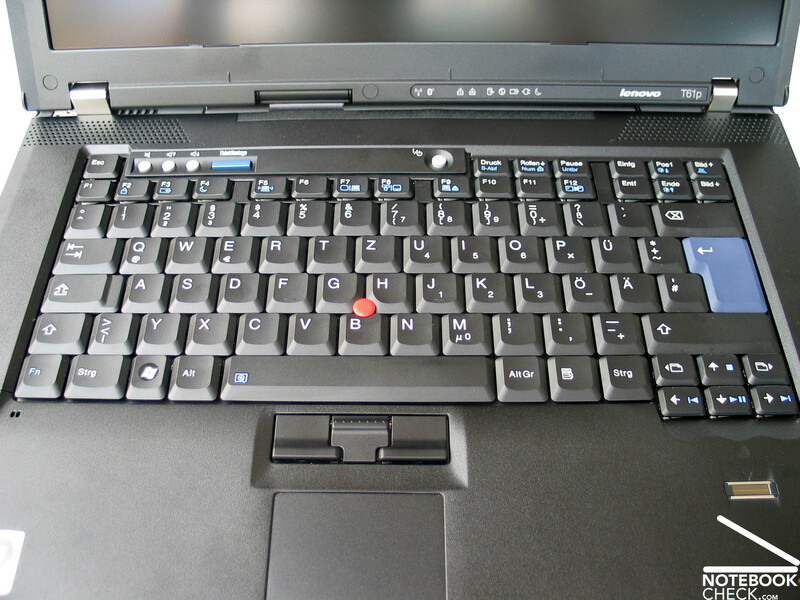 Among the input devices you'll detect a well-known Thinkpad friend - a spacious, red track point in the middle of a jet-black keyboard. 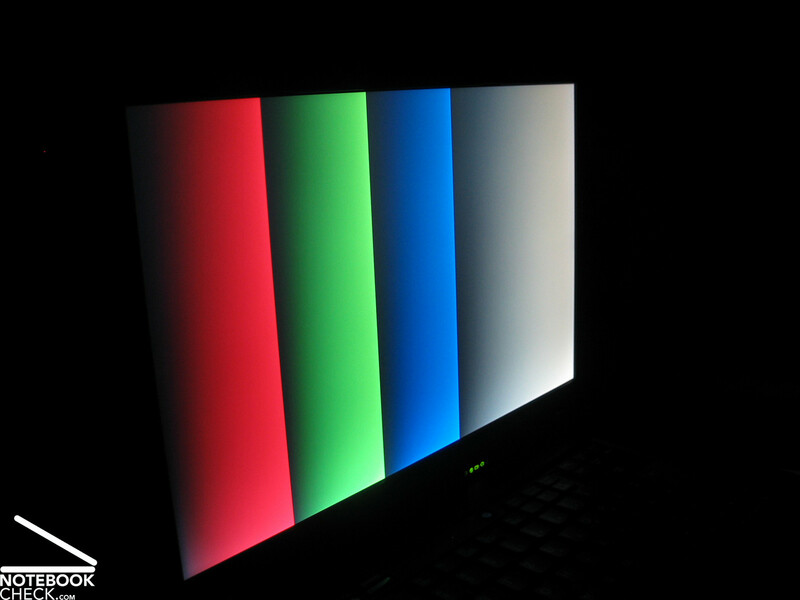 Themed: "Red track point outside, quality inside", all the input devices can be assessed. 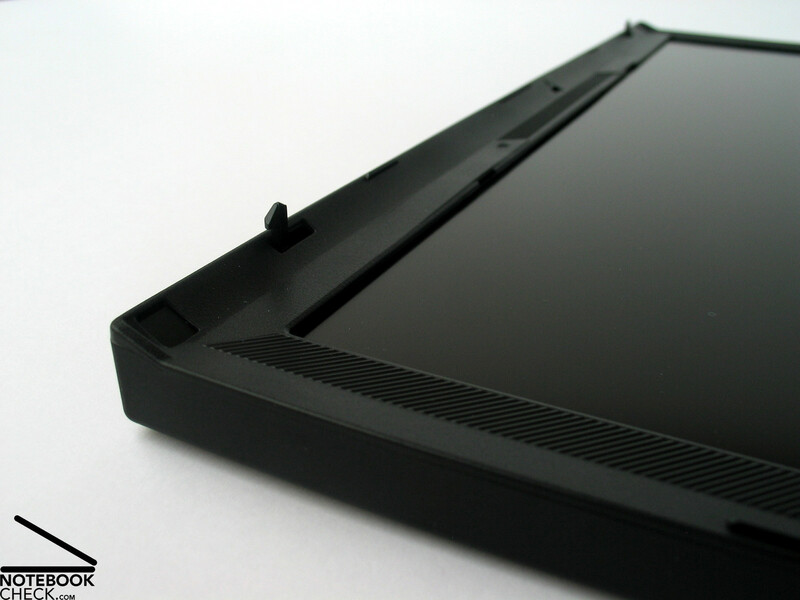 The reviewed Thinkpad T61p came with the top of the available displays, a 1920x1200 pixels WUXGA display with (certainly) matt and non-reflecting surface. 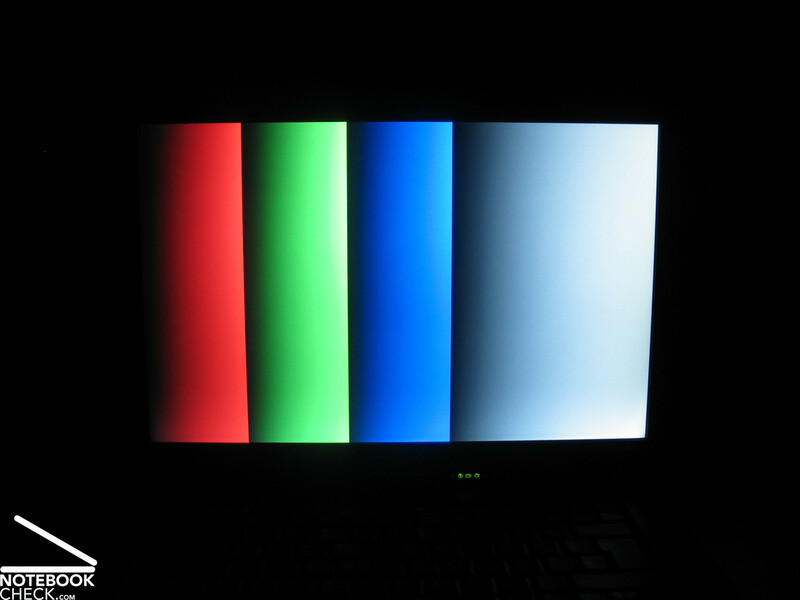 Alternative to this high resolution display also a 14 inch version with SXGA+ Panel (1400x1050) is offered. 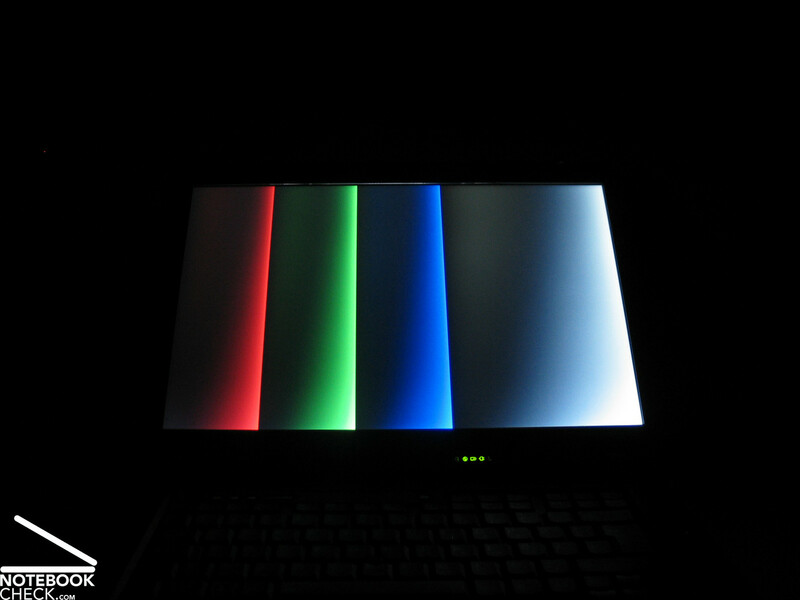 Other 15 inch display versions are at the time of writing obviously not available. In the middle of the lower part a maximum brightness of 182.9 cd/m² was measured. This would be a good value, but, the brightness clearly diminishes to the sides and to the top. So, the average brightness of 159.6 cd/m² is acceptable and the illumination of 79.6% moderate. 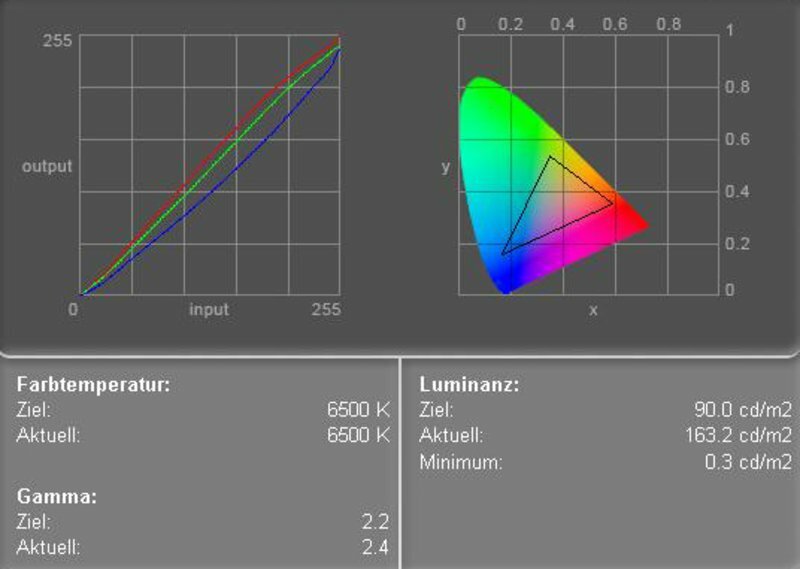 The minimum brightness of 0.3 cd/m² gives together with the maximum measured brightness of 182.9 cd/m² a maximum contrast ratio of very good 610:1. No anomalies were detected by the Pixperan test of legibility and scroll tests. Outdoors you'll clearly recognize that the display's brightness is a little too low. 20-30 cd/m² more would have made it more fit for outdoor operation. In total it is fit for outdoor usage, but does not convince outdoors, because the rather dark display tires the eyes. The FlexView panels, which were often offered and also bought in older -p series, are in the meanwhile consigned to history. 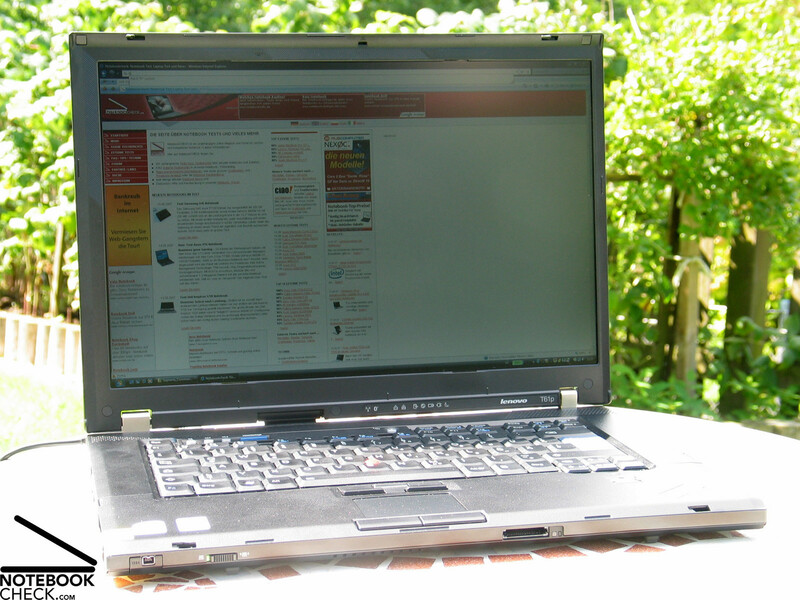 Also the WUXGA display of Lenovo Thinkpad T61p rates to some degree acceptable in this aspect. The horizontal viewing angles are alright and also vertically, the area of operation is sufficient, but, at acute angles you'll face vitiations. 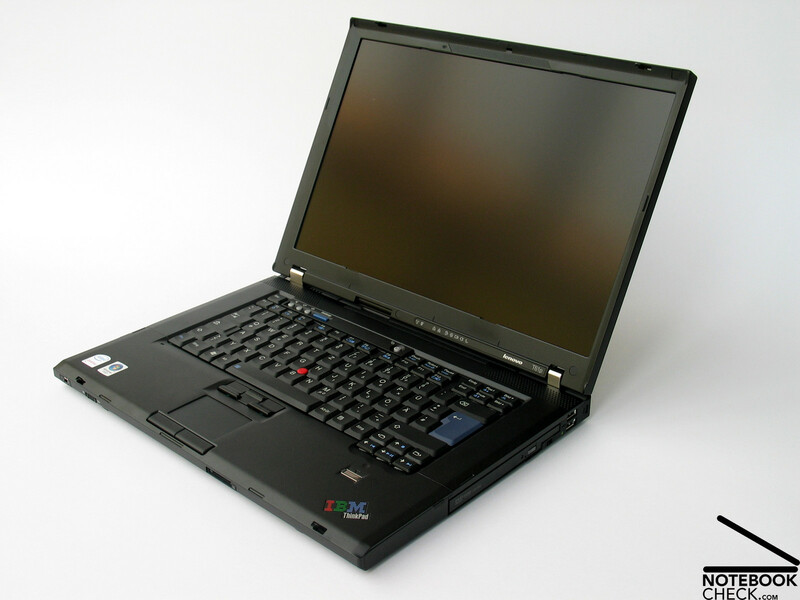 In order to make the Lenovo Thinkpad T61p also fit for demanding 3D applications, a NVIDIA Quadro FX 570M with 256MB VRAM is used beside an up-to-date Core 2 Duo processor. 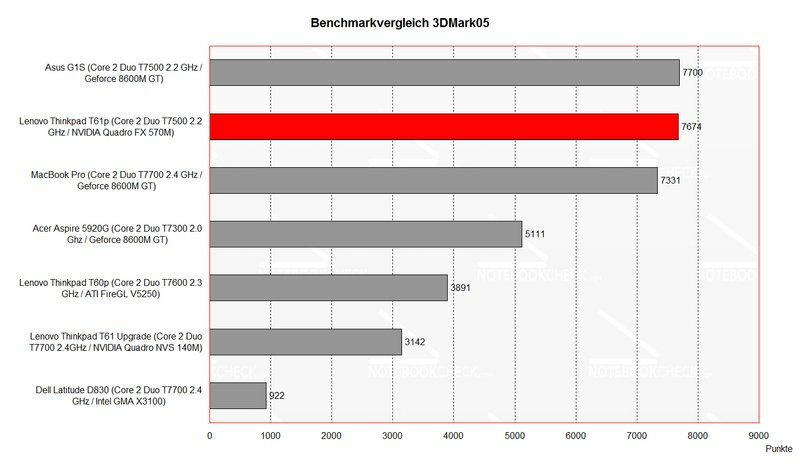 The 3D Mark benchmark results as well as the refresh rates observed with various current games in practice are very good. The Quadro FX 570M is similar powerful than a Geforce 8600M GT, so, the T61p reaches a performance level of an Asus G1S and a Macbook Pro, which are both equipped with GDDR3 RAM. As we already saw in many of our reviews, the GDDR3 memories make it actually possible that the Geforce 8600M GT rates very good in all performance tests. 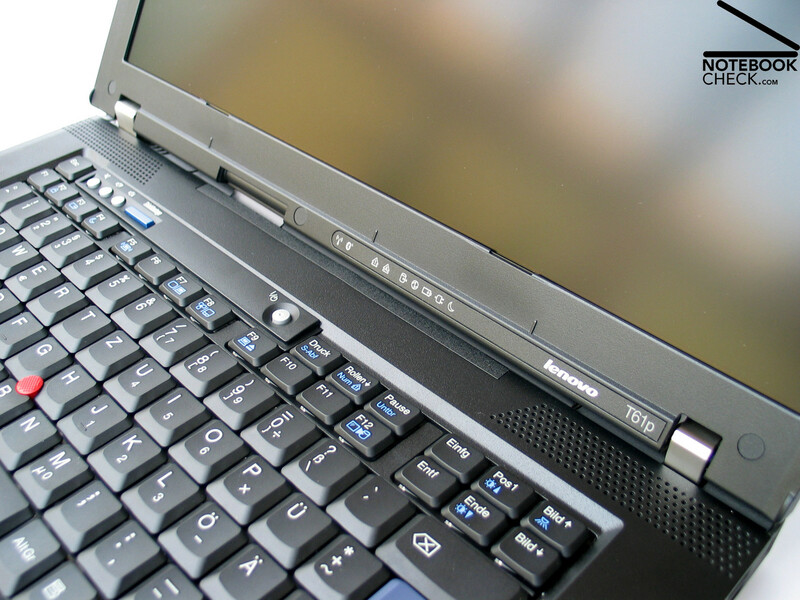 The Quadro FX 350M, which is actually based on a 8600M, can also reach the level of up-to-date gaming notebooks, because it also utilizes GDDR3 memory. 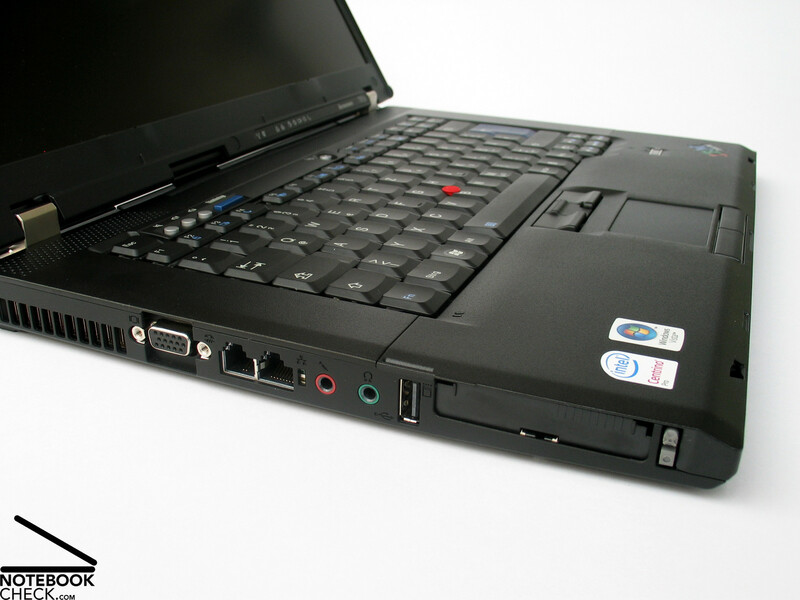 So, at the time of writing, the Lenovo Thinkpad T61p provides the most powerful video solution available for 15“ notebooks. If you demand even more, you'll need to choose a 17“ desktop replacement. 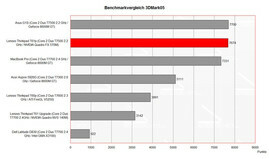 CPU and memory are also very good: Core 2 Duo CPU T7500 with 2.2 GHz 4MB L2 Cache and 800 MHz Frontsidebus, 2GB main memory, and a fast 100GB hard disk with 7200 revs/min. In total it is a powerful office notebook, also sufficiently powerful for 3D demands. 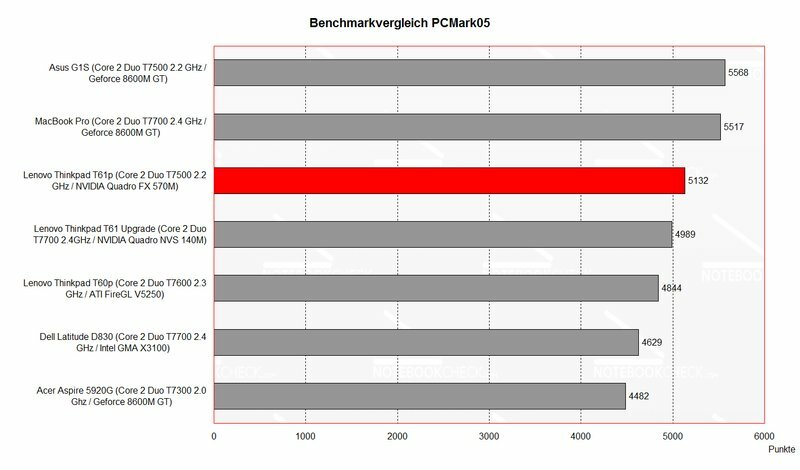 Please also visit our benchmark list of mobile processors or our benchmark list of mobile video cards in order to compare this notebook to other configurations. Resolution 1024x768, Detail Presets at "high" - 27-54fps, with about 35 fps during game well playable. Resolution 1280x800, Detail Presets at "high" - 23-50fps, with about 27 fps during game well playable. Resolution 1440x900, Detail Presets at "high" - 12-45fps, with about 25 fps during game well playable. Resolution 1680x1050, Detail Presets at "high" - 13-35fps, with about 20 fps during game just playable. Resolution 1920x1200, Detail Presets at "high" - 10-27fps, mit knapp unter 15 fps during game, not well playable. Resolution 1024x768, Presets at "high", AA off - ~30fps, well playable. Resolution 1280x800, Presets at "high", AA off - 26-28fps, well playable. Resolution 1440x900, Presets at "high", AA off - 13-27fps, well playable. 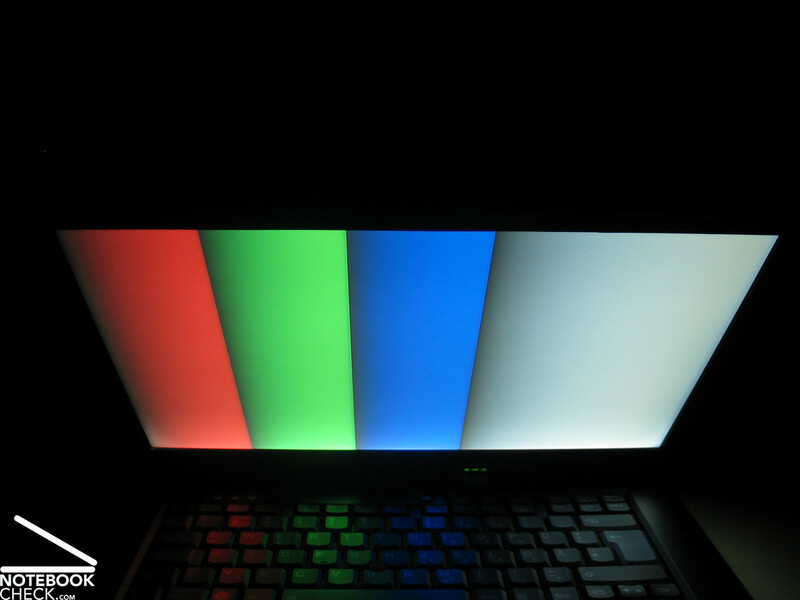 Resolution 1680x1050, Presets at "high", AA off - 18-25fps, just playable, but flickers during scrolling. Resolution 1920x1200, Presets at "high", AA off - 18-22fps, just playable, but flickers during scrolling. Both games are also with highest resolution playable, but with limitations. Of course the powerful 15 inch notebook must also be cooled down. Still, in idle mode with minimum energy settings the fan is nearly completely off and the notebook comfortably quiet, if there would not be the noise of the hard disk. 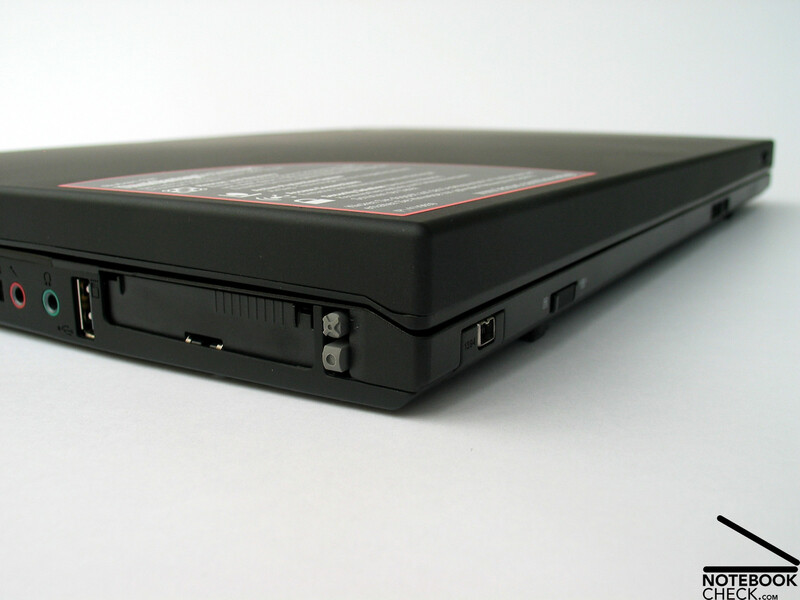 The noise of the Lenovo T61p is dominated by the hard disk. Only when the performance demand increases the fan gets more evident, but, still not annoying. After its work is done, if quickly returns to lower speed. Annoying: In battery mode with profile "high performance" a high-frequency noise is audible. If you change to 'minimum energy demand or 'balanced' it disappears again. Also the surface temperature of the T61p stays alright. Neither at the top side nor at the bottom side the temperature increase is disturbing. A maximum of 40°C can easily be stand. The 15 inch case differs to the 14 inch version here. 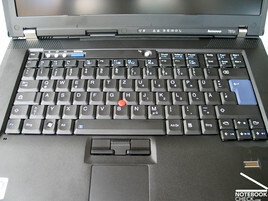 The speakers of the 15 inch wide-screen screen notebook are left and right above the keyboard and no longer at the sides. The sound is alike the one of the T61 clear. 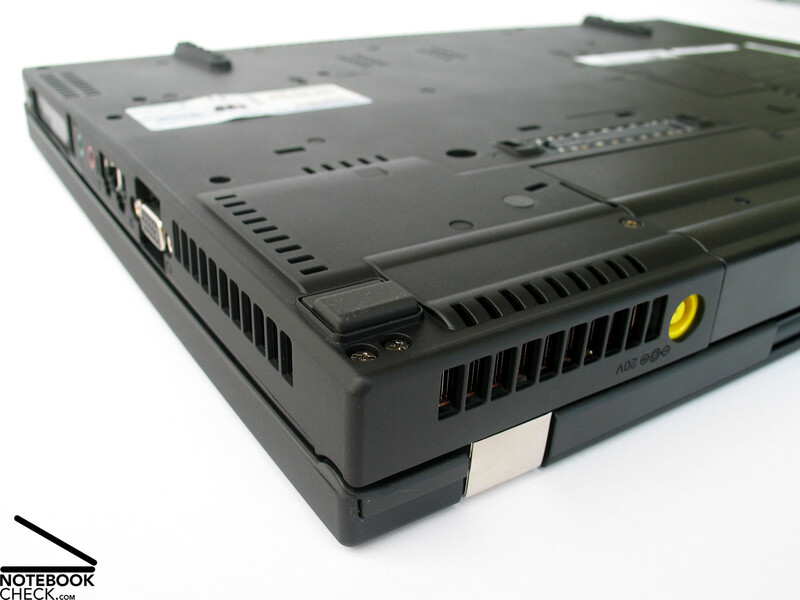 Because there is no sub woofer, the basses are weak, but, this is not important for a professional business notebook. The audio output of the analog stereo 3.5mm connector was during our test without anomalies and the provided sound was clear. Also the battery differs to the one of the T61: The standard battery is a 5200 mAh battery, so, also the runtime with base equipment is alright. A further positive aspect is that the battery does not exceed the case, but, is flush with the back edge. The runtime ranges in the reviewed version from a minimum of slightly above one hour to a maximum of about 3.5 hours. 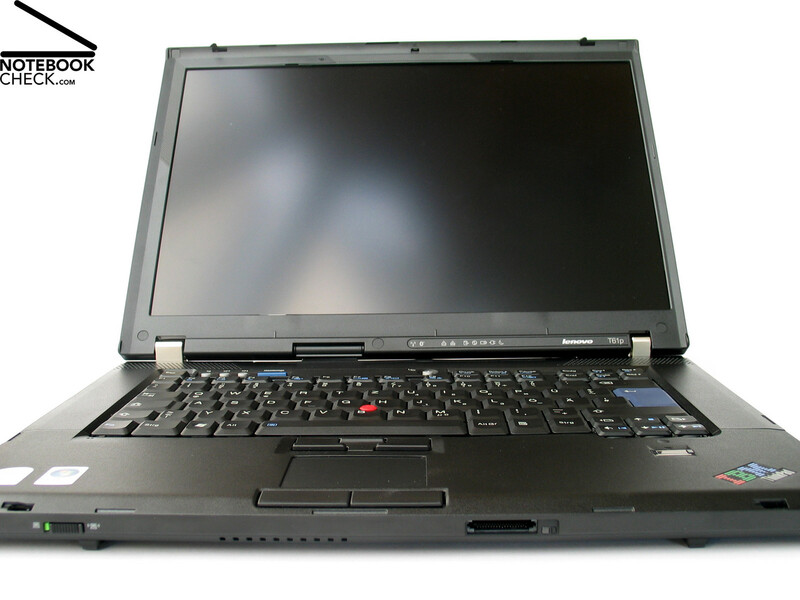 Furthermore, it is possible to equip the T61p with a supplement battery, quite like all Thinkpads with ultrabay drive, and, so increase the runtime. 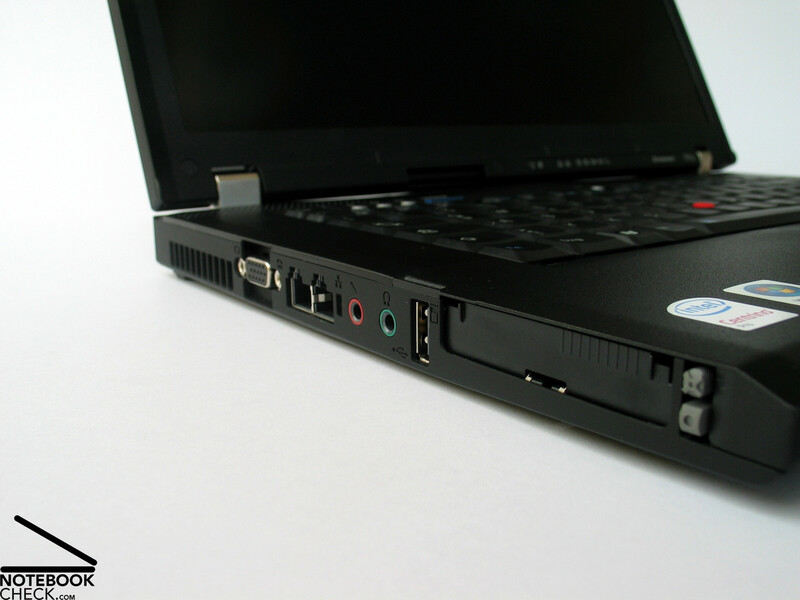 The T61p fulfills the expectation of the T-p series to be more powerful and in general "better" than standard T notebooks. 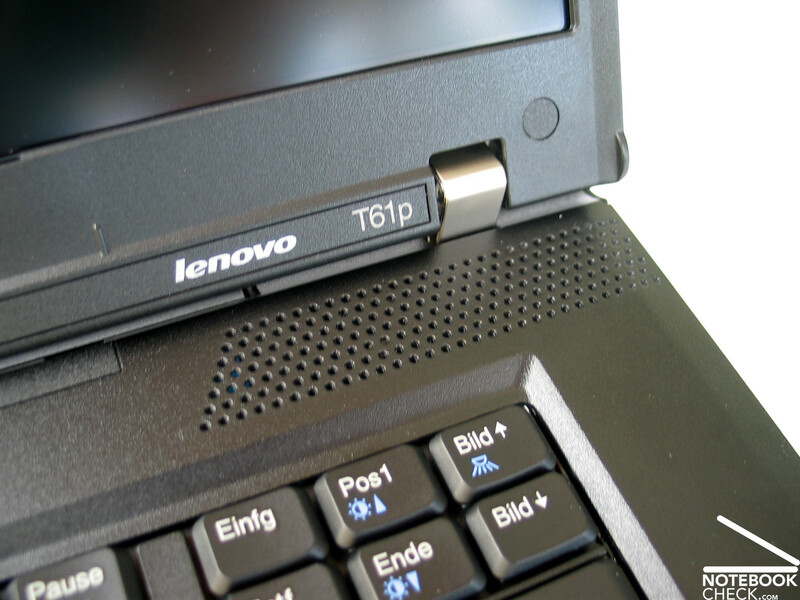 The T61p has all the advantages of the T61 which are a among others a robust magnesium case and excellent user-friendly input devices. The display is the better choice. 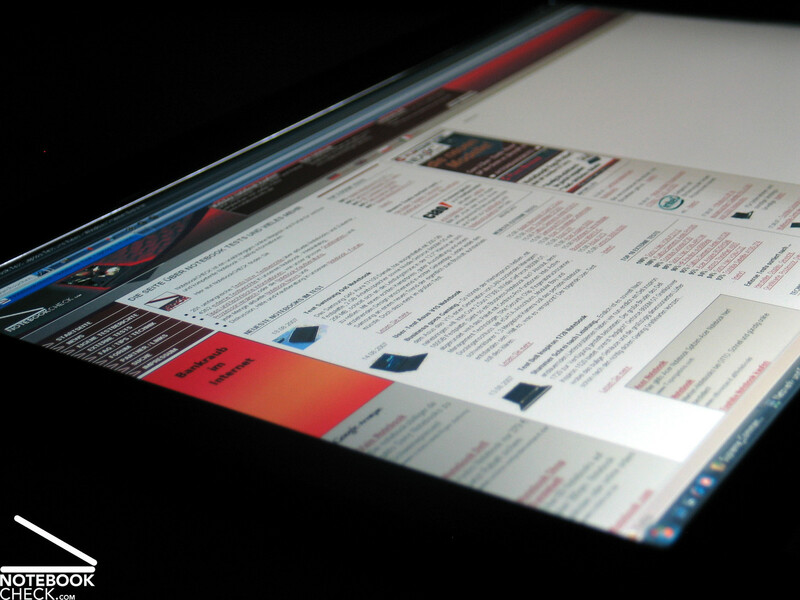 The WUXGA display with a resolution of 1920x1200 pixels provides maximum overview on the 15 inch display. A fineness of 147dpi is finest possible today. 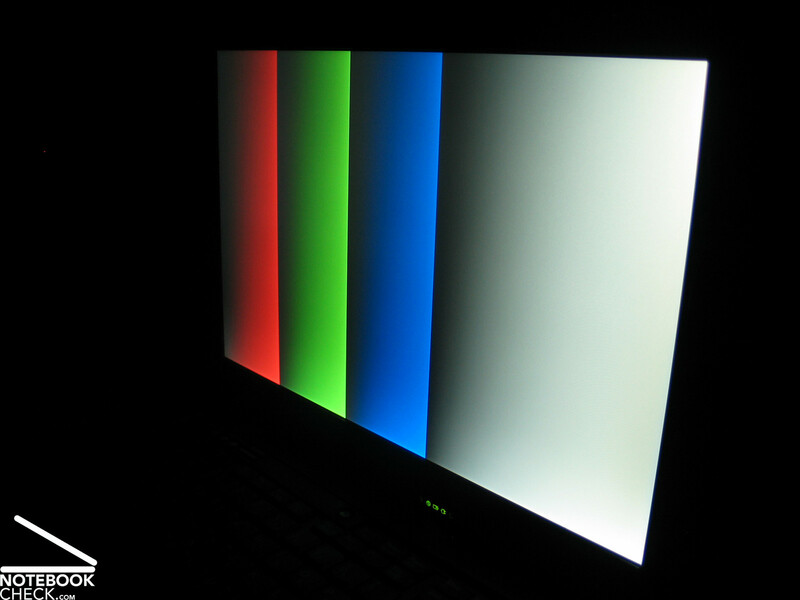 Brightness and illumination are rather average, and could especially be better for outdoor usage. Indoors they are alright. 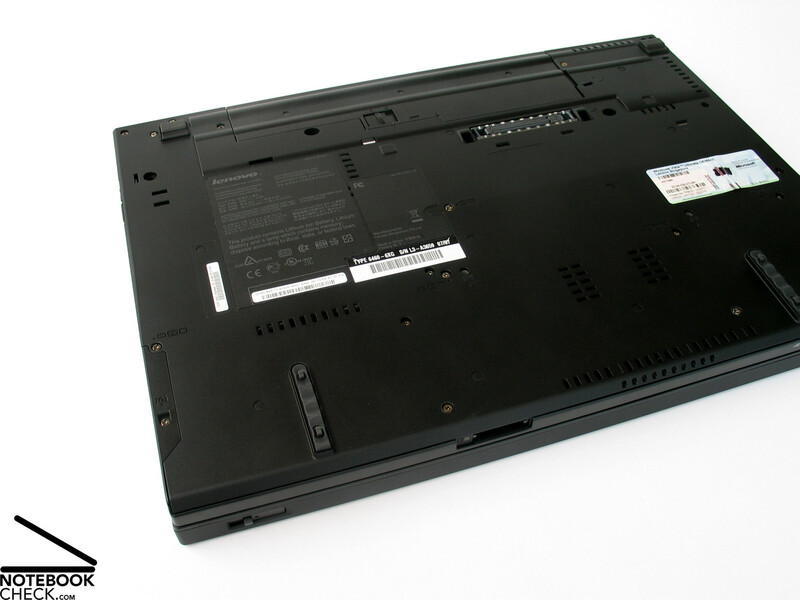 The second important difference to the T61 series is of course the provided performance of the notebook. The NVIDIA Geforce Quadro FX 570M is equally powerful than the fast Geforce 8600M GT series in the benchmark test, thanks to GDDR3 memory. The emissions are also depending on usage and demand alright. The built-in 7200 revs/min hard disk is permanently audible and, so, a little too loud. The surface temperatures stays all the time alright. 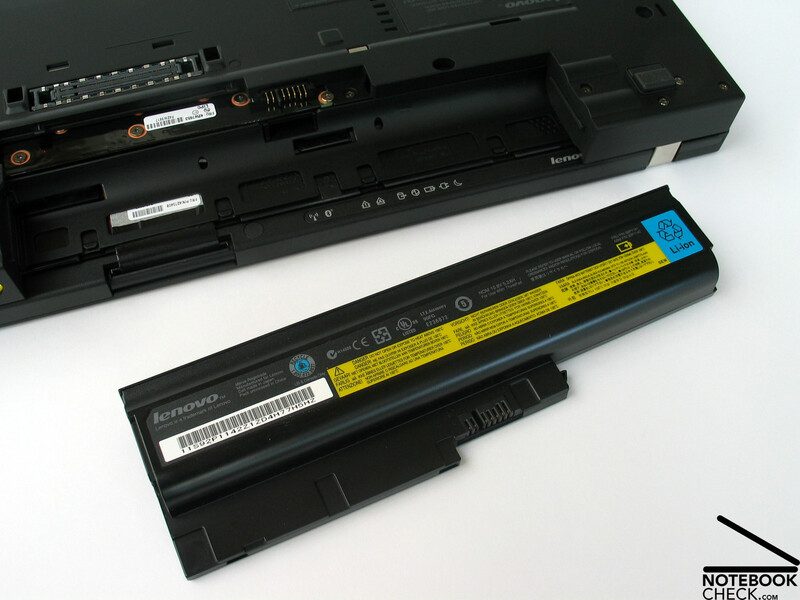 Regarding battery runtime, it seems that Lenovo tried to avoid another disgrace. 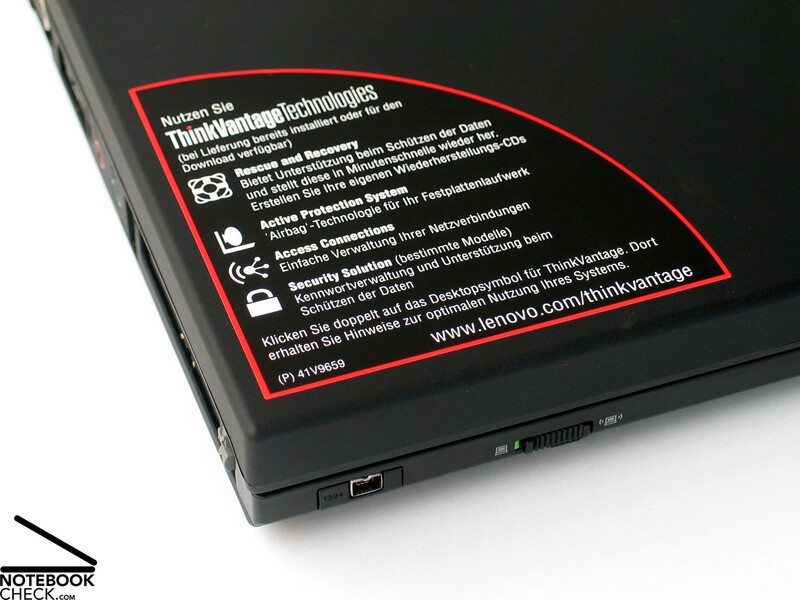 In contrary to the T61 series the Thinkpad T61p is equipped with a 5200 mAh battery by default, which is also completely integrated in the case. It provides a runtime of up to 3.5 hours. Furthermore, the additional use of an ultrabay supplement battery is also possible. 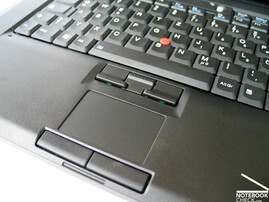 The Lenovo Thinkpad T61p is the top model of the Thinkpad series. 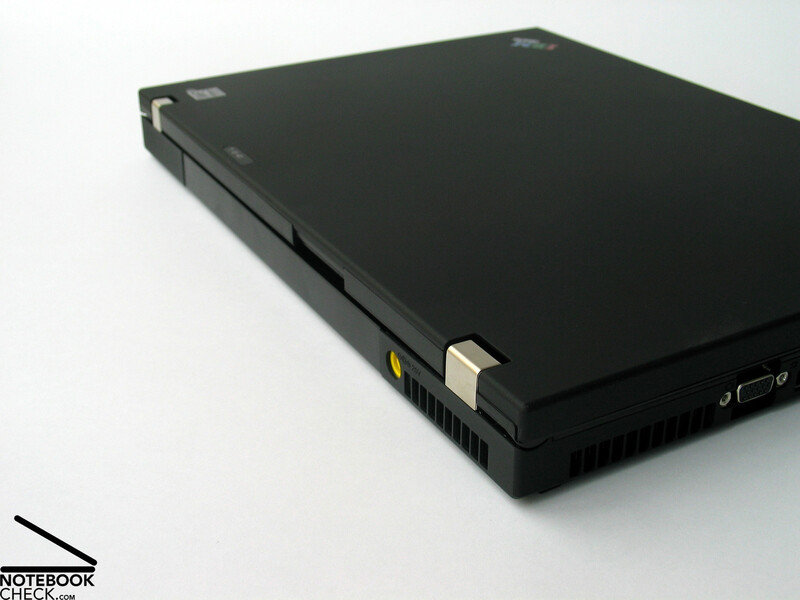 Also a PCCard and an ExpressCard slot are available. 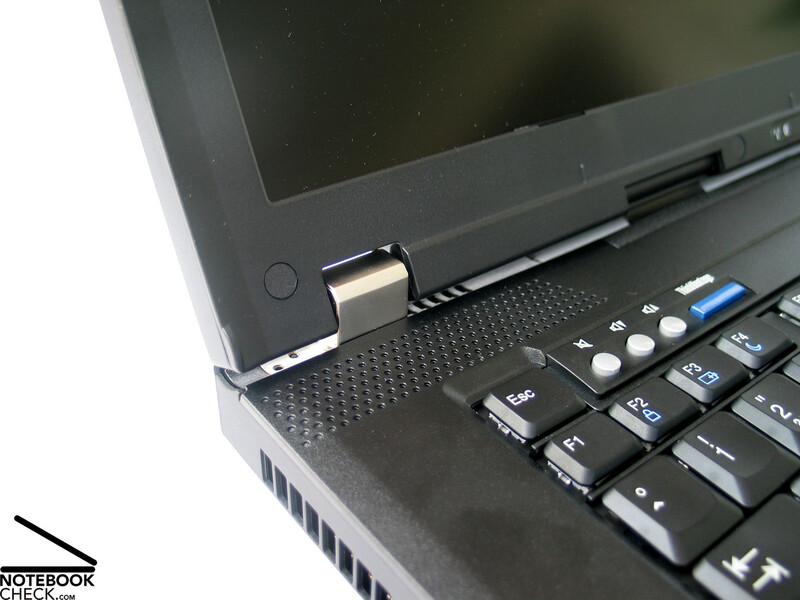 The keyboard of T61p is especially user-friendly, and the mouse replacements (Ultranav) completely convince. 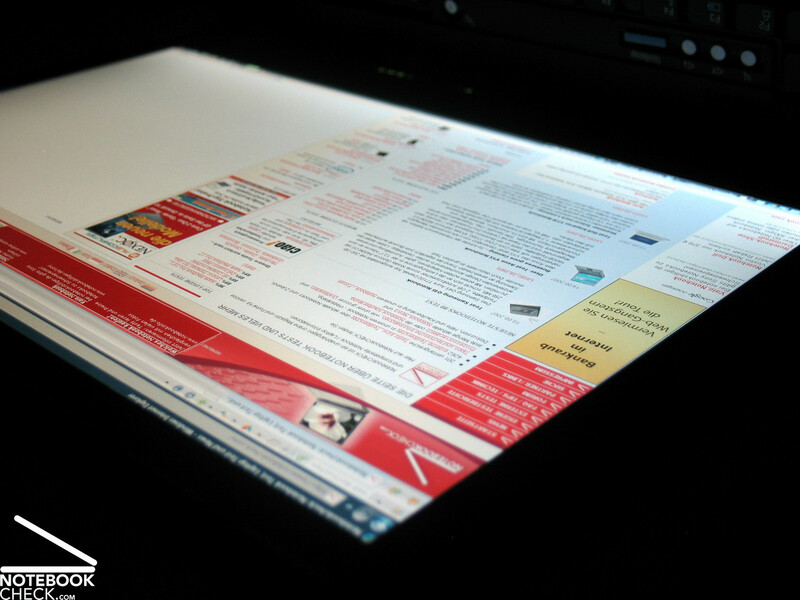 The used WUXGA display provides maximum overview, but, brightness and illumination could be better. Disturbing reflections with unfavorable lightning conditions are prevented by a matt surface, so, outdoor usage is with limitations possible. 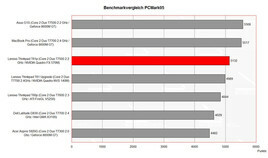 The performance is very good: Core 2 Duo CPU and NVIDIA Quadro FX 570M video card. The noise of the fan is alright, the hard disk's noise is nearly always by far more obvious. The sound is passable and sufficient for an office notebook. 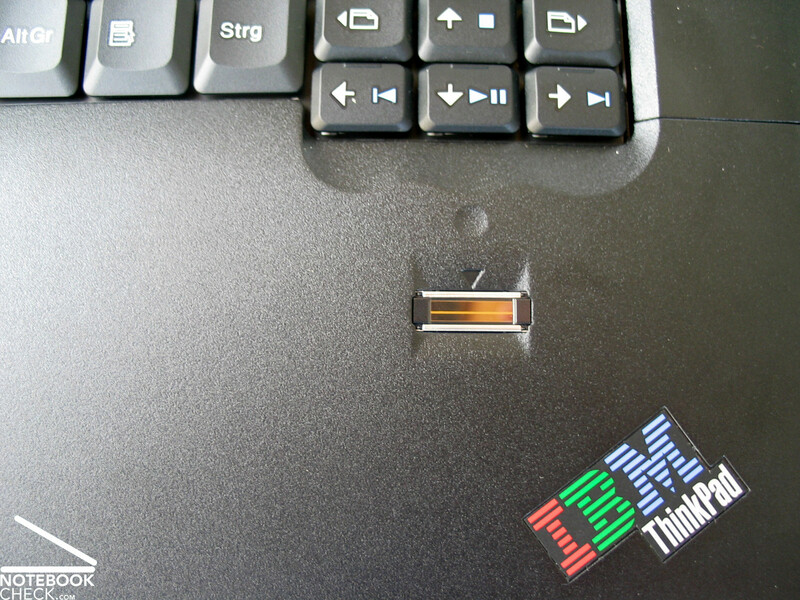 A fingerprint reader is nowadays nearly a standard equipment, especially in the business notebook sector. An Ultrabay drive is available, which can take up varying devices. Obligatory for business notebooks the T61p provides of course a docking port. ...made of high-quality materials and the workmanship is excellent. ...and magnesium parts ensure a low total weight too. 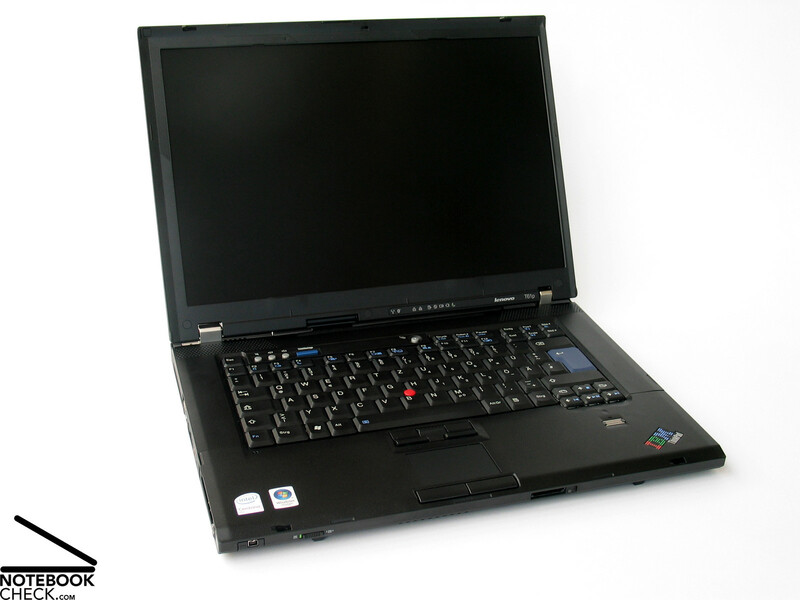 Comprehensive ThinkVantage Features make the T61p a first class office notebook. ...closed, there is hardly any gap between display and base unit. It is only averagely equipped with interfaces, especially an optical out is missing. 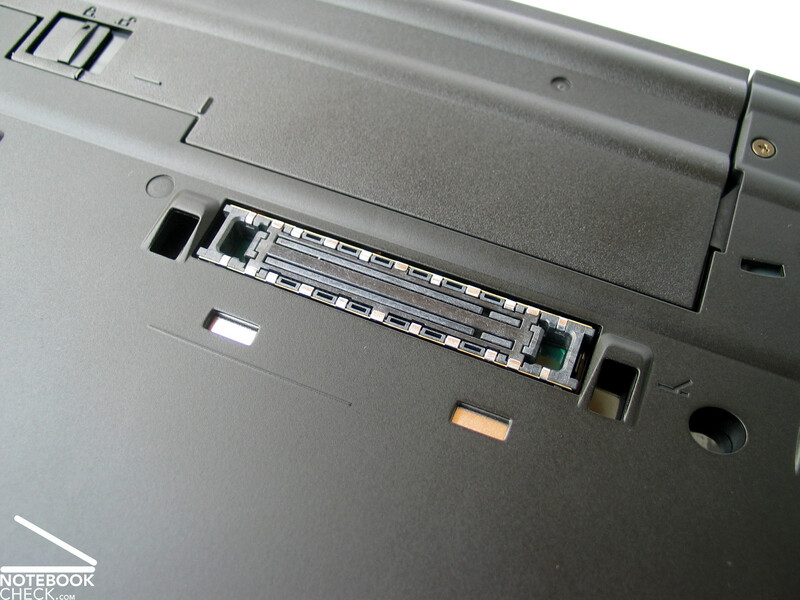 On the contrary to the 14 inch T61 the audio ports are on the side. 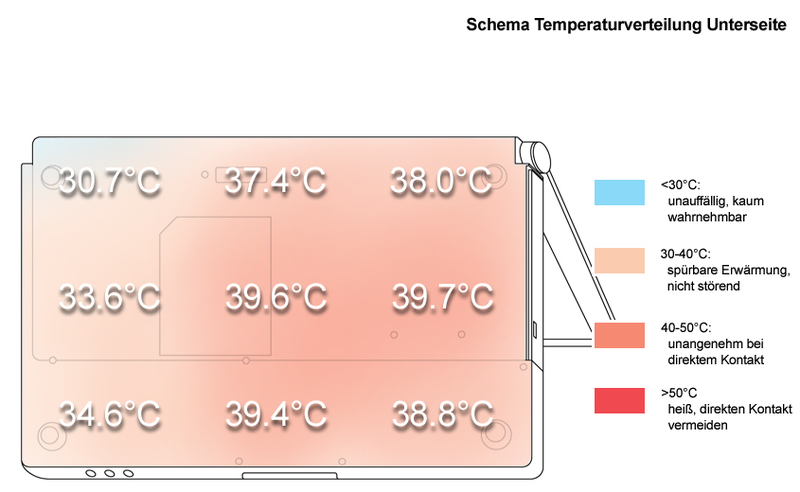 ...whose runtime is up to 3.5h and which is, furthermore, completely integrated in the case.